Help Oregon Food Bank & Enter to Win $500 Gift Certificate! Did you know that in 2009, an average of 75,000 children per month ate meals from an emergency food box in Oregon and Clark County, Washington? That’s why we’re organizing a food drive this March benefitting Oregon Food Bank. Our goal is to collect at least 500 pounds of food this March: as an incentive, for every canned or non-perishable food item you bring in to our stores, you’ll receive a raffle ticket. The prize: a $500 gift certificate to Things From Another World! There is no limit–bring as much food as you can carry to our three Oregon locations! 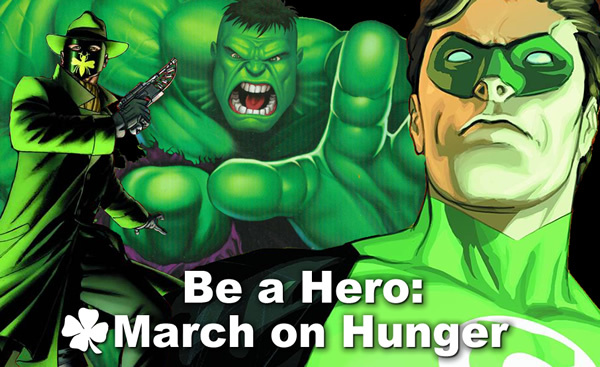 Oregon’s most vulnerable residents are often the hungriest, including the elderly and children, so be a hero today! So go ahead and check through your cabinets–every last item helps–and bring it to our three Oregon locations today! Questions? Comments? Post ’em below! Next article Enter to Win a Comic Signed by Gerard Way!